During her four years of collegiate hockey at Robert Morris University, McLaughlin set the NCAA record with 3,809 career saves. She immediately joined the U.S. Women’s National Team and has won three gold medals. The Four Nations Cup in 2015 and World Championships in 2011/ 2013. 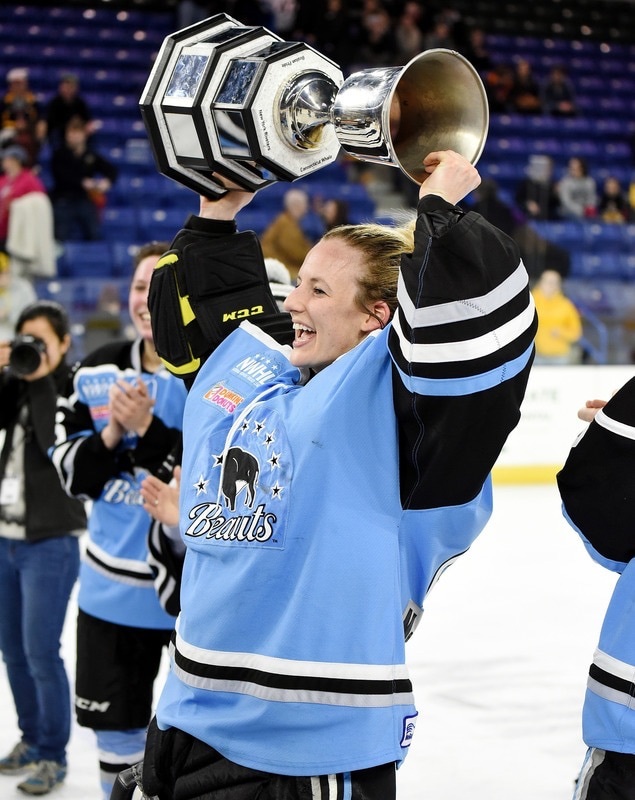 In the inaugural season of the NWHL McLaughlin signed with the Buffalo Beauts and backstopped them to the Isobel Cup where they fell short to the Boston Pride. As well as competing for the Isobel Cup, she was also named to the 2016 and 2017 NWHL All-Star Game and Skills Competition. In her second season with the Beauts she got another shot at the cup, this time turning the tables and defeating the Boston Pride 3-2. McLaughlin made 58 saves in the game and was awarded the Isobel Cup Finals MVP for the game.